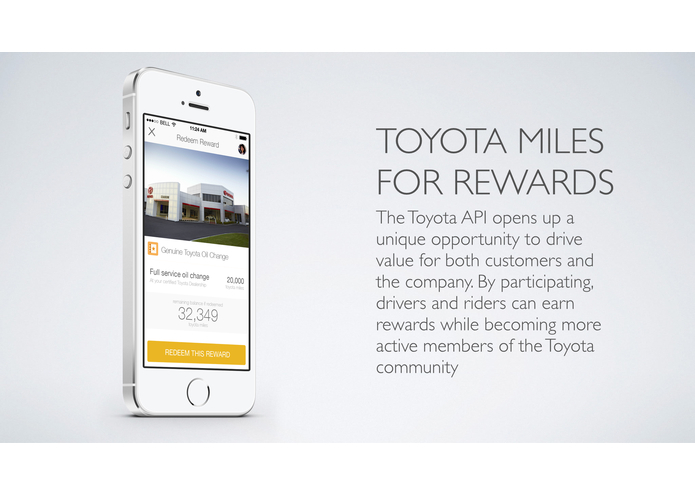 Ride any Toyota in the World and get Rewards on Every Mile! 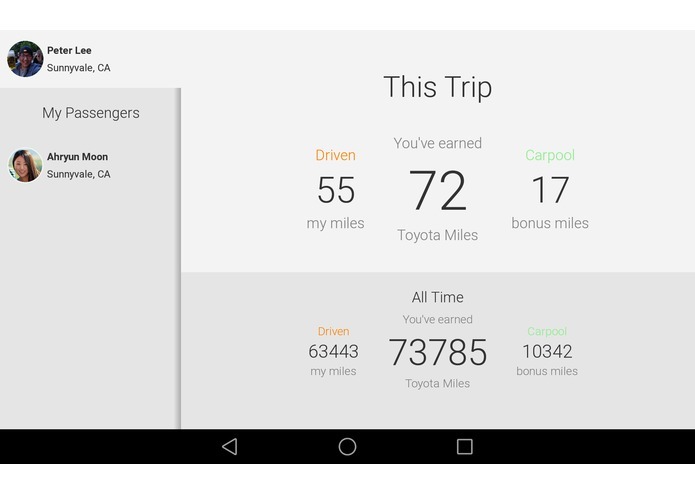 With the Toyota API opening up the opportunities that have never been possible, we wanted to utilize the data from the API to drive value for both the customer and the company. 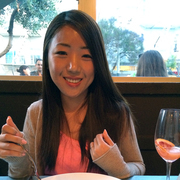 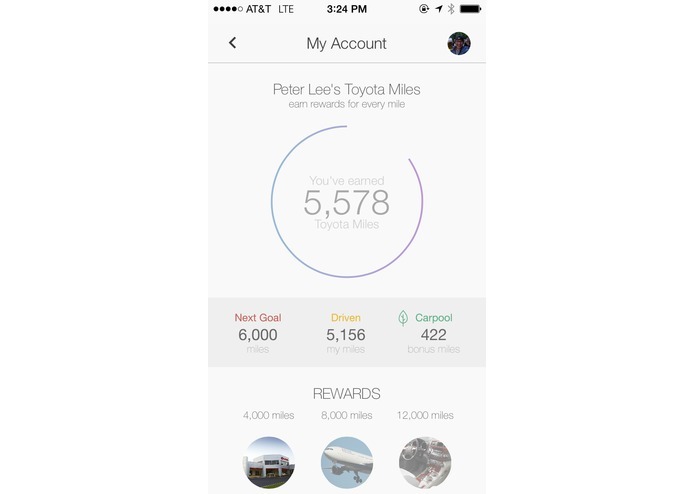 So we introduce "My Toyota Miles." 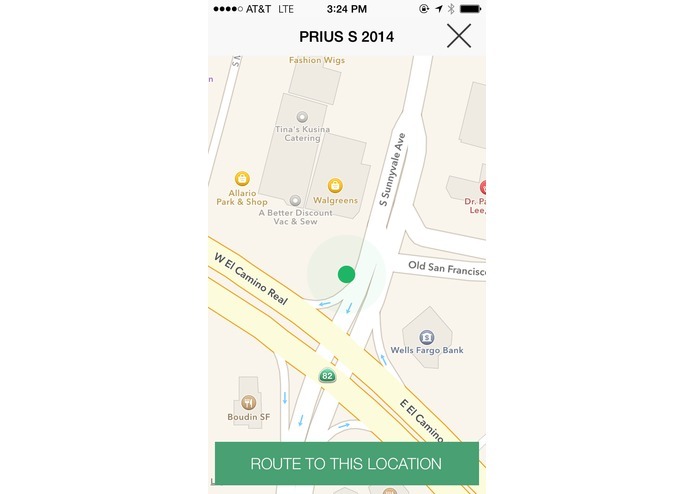 Using Bluetooth technology, we securely pair up the Toyota car system and your mobile phone. 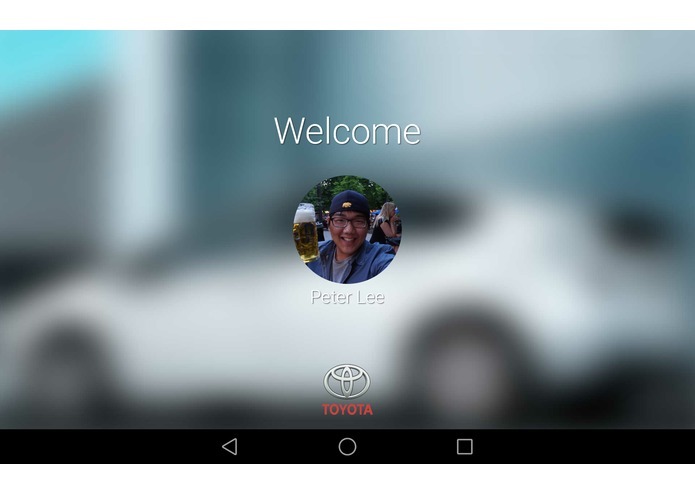 Secure handshake between your mobile device and the Toyota car system ensures the security and safety of your car and yourself. 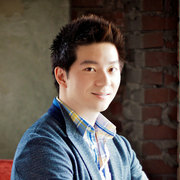 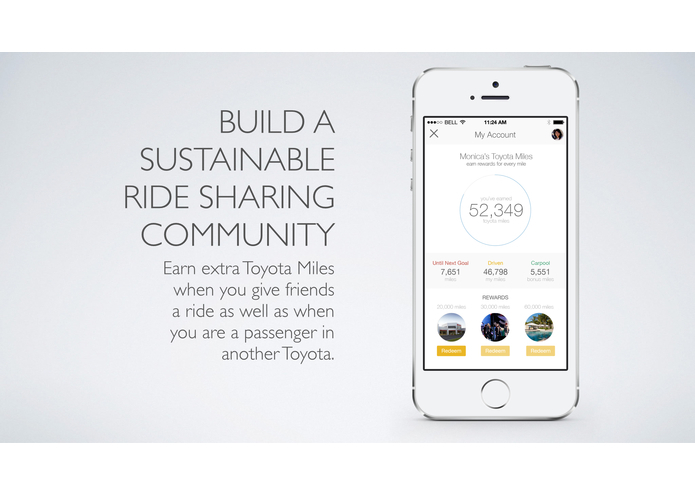 We thought the sustainability and eco-friendliness are some of the most crucial values that Toyota emphasizes. 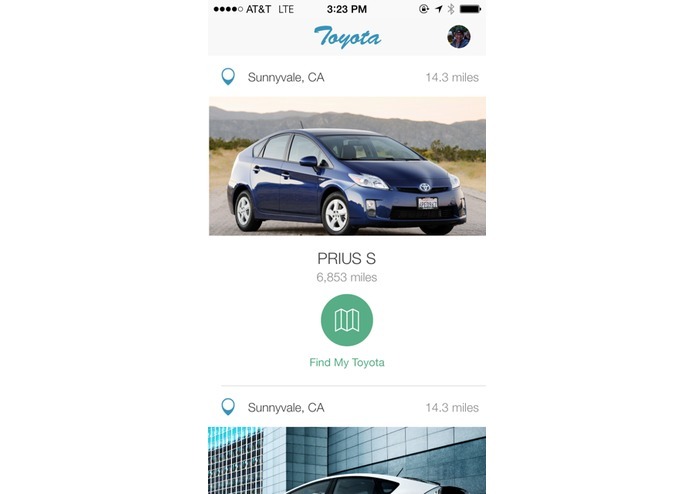 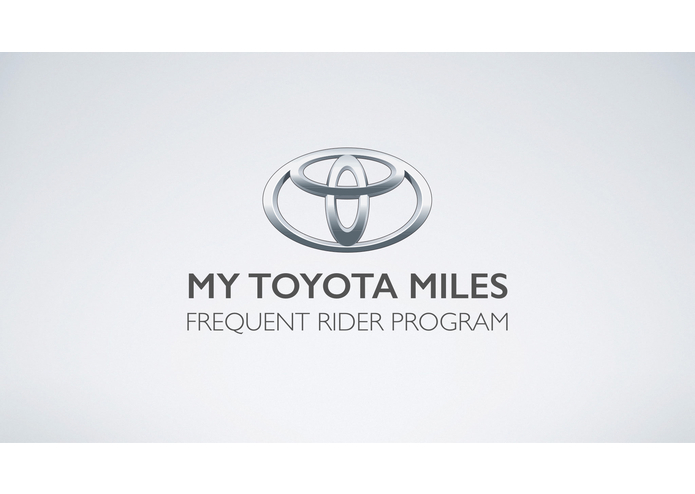 Therefore, the Toyota customers are rewarded bonus miles for sharing rides. 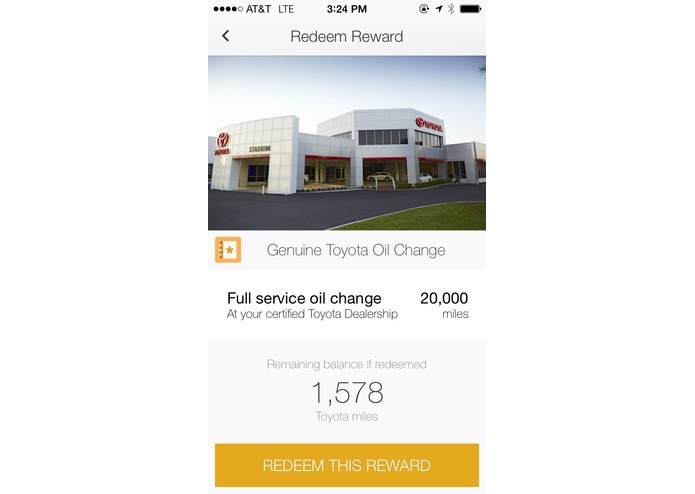 The bonus miles translate to valuable rewards such as free oil changes, hotel stays, or discount on your next Toyota purchase. 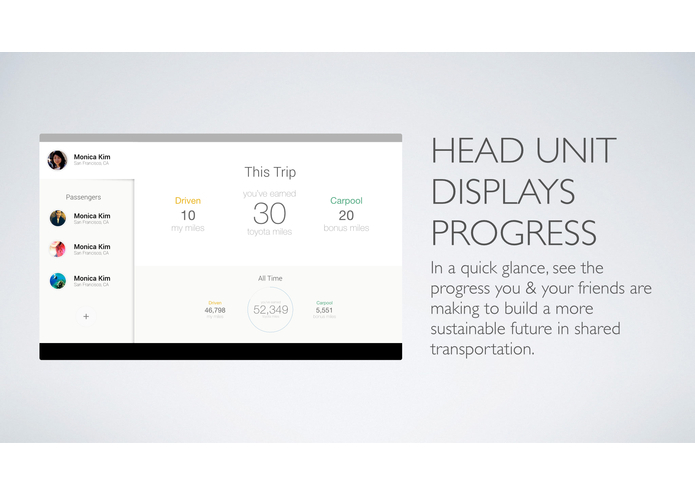 This gamifies the activity of driving that people mostly dread. 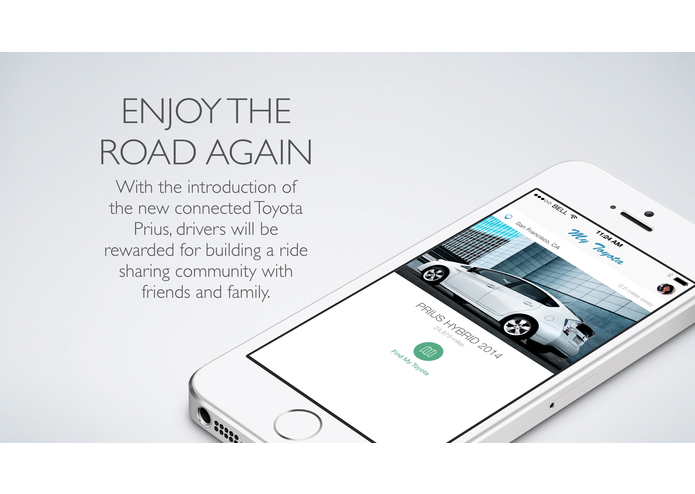 Now driving Toyota is more fun than ever!